The DreamMaker remodeling franchise has unveiled new remodeling software that helps franchisees serve clients from the moment they become potential clients, through the design process, all the way through installation and billing. The software helps franchisees keep track of potential clients, which makes marketing more efficient. It also helps sales teams create price estimates for projects by tapping into a pricing database, which allows even newcomers to the remodeling industry to forecast the scope of work. The proprietary also helps track ordering; simplifies scheduling; includes a lead carpenter compensation system; and provides time-tested management reports that help DreamMaker owners spot opportunities for growth and improvement. Dwyer expects the software to help existing franchisees become more efficient and profitable while delivering an even better client experience. He is also excited that the tool will allow franchisees to add new salespeople more quickly. Demand for remodeling has surged since 2012. DreamMaker’s average franchise revenue increased more than 23% in 2013, and the estimating component of the software will shorten the learning curve for salespeople with great customer service skills who are new to the remodeling industry. 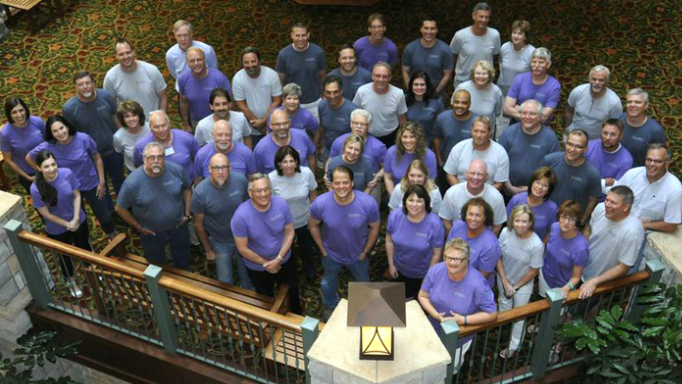 DreamMaker franchisees gathered in Branson, Missouri, in June for the company's annual reunion. The new software was one of pieces of headline news at the event. Lee Willwerth, co-owner of DreamMaker Bath & Kitchen of Ann Arbor, Michigan, is confident the software will have a tremendous impact. Willwerth, a former software engineer, designed a more primitive version of the software along with his business partner Bob Ender, using DreamMaker’s existing systems as a template. They were recently named, once again, as one of the Top 500 remodelers in the nation by Qualified Remodeler magazine. Neither of them had significant remodeling experience before joining DreamMaker, but their software advancements helped them become the top-producing franchisee in the system.